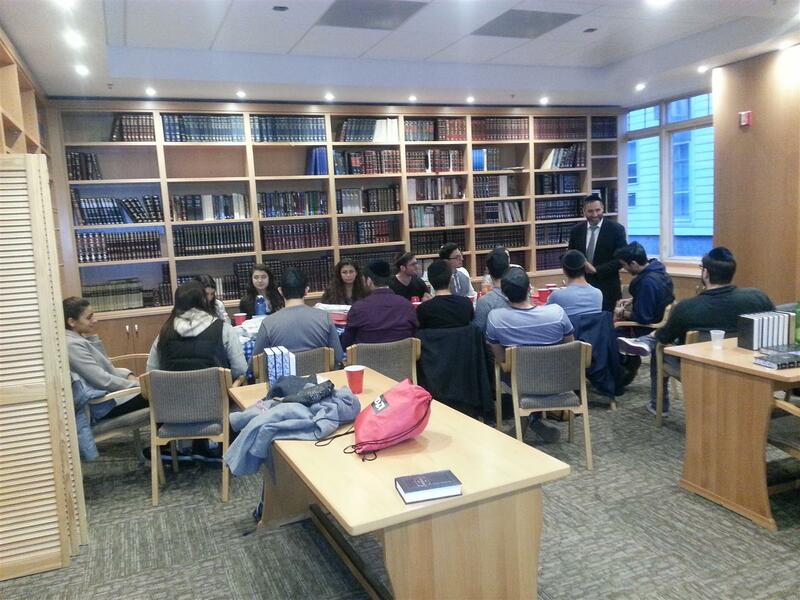 For the first time on Monday April 20, 2015 at 7:00 p.m., Chabad House at Rutgers hosted Sephardic Rabbi, Rabbi Moshe Malka to teach a class in our brand new Sephardic Synagogue. 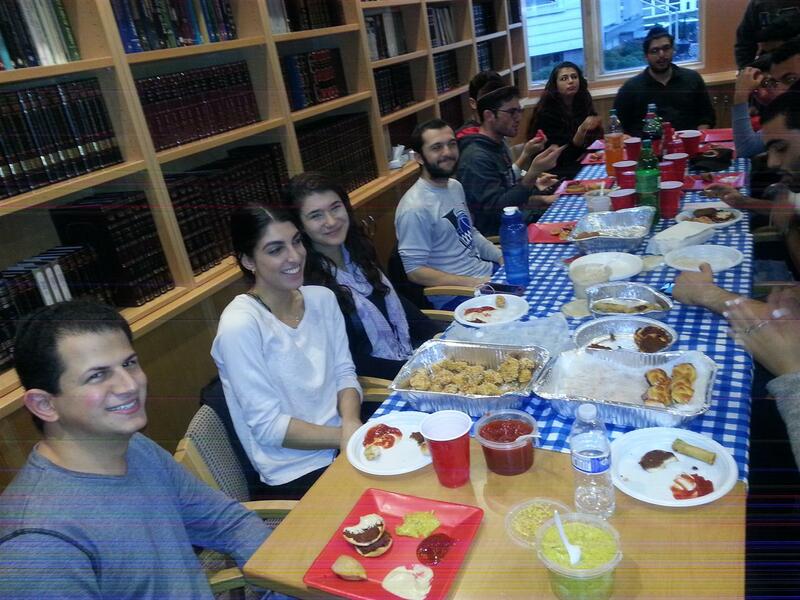 Organized by Rutgers’ Isaac Sasson, a junior who majors in Human Resource Management and double minors in economics and urban planning, a total of twenty-five students attended to enjoy both great Sephardic food and Torah teachings. 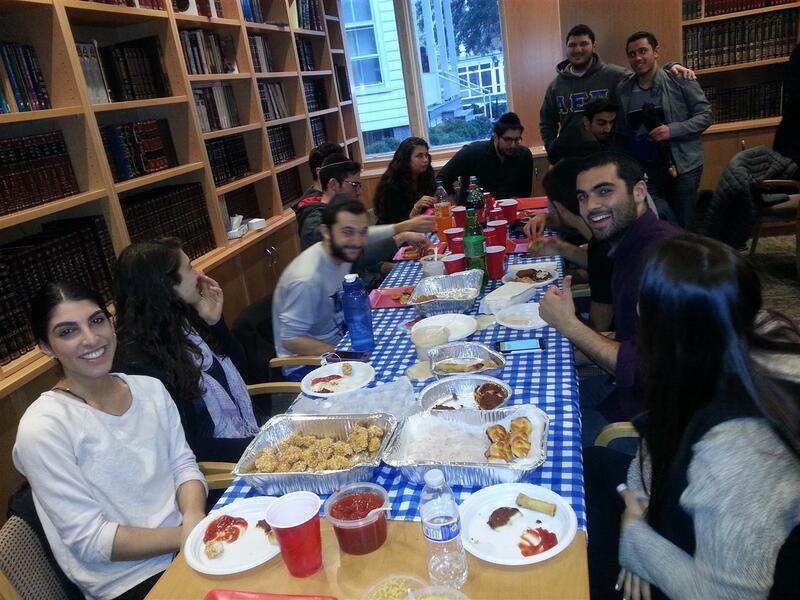 This class continues a tradition of Sephardic Rabbis inspiring students at Chabad House at Rutgers. Lessons are expected to be held for the rest of the semester and hopefully onwards in to the fall semester of 2015. 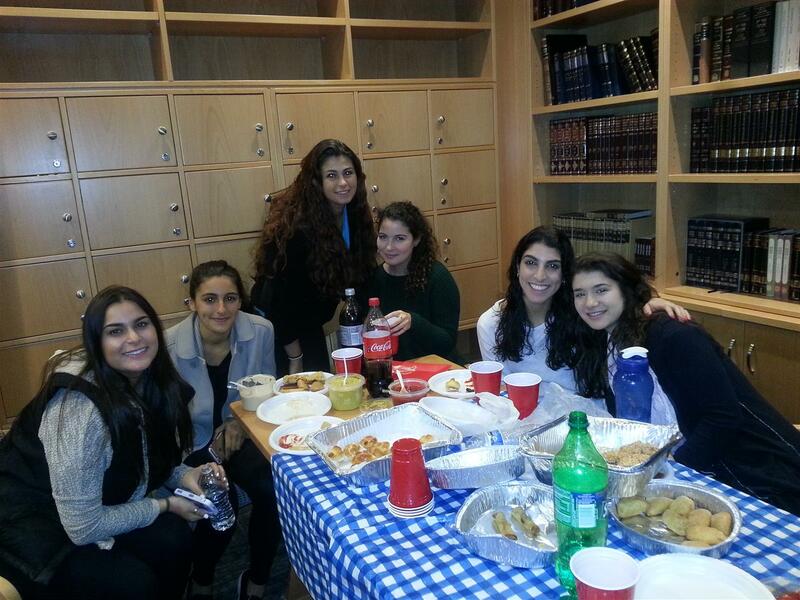 This particular program was made possible by a joint effort of Chabad House at Rutgers and Kesher. 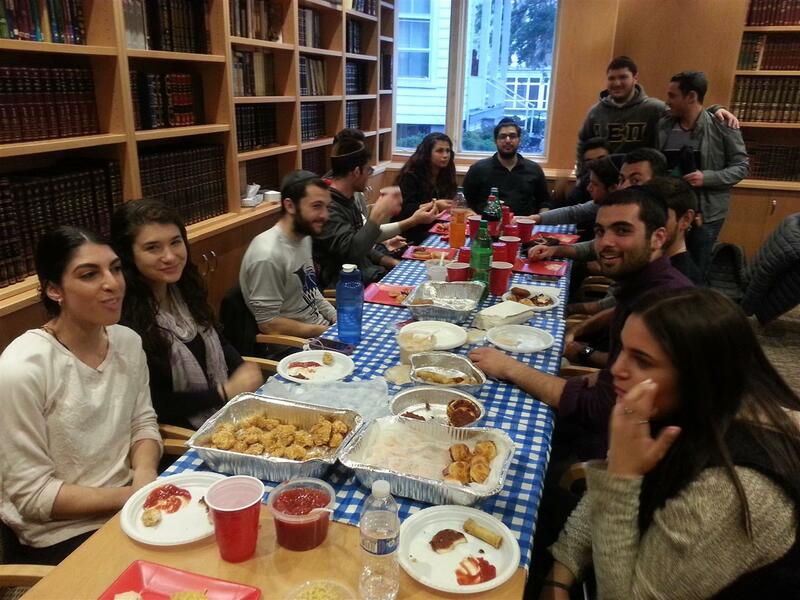 Kesher is an organization which sponsors similar classes on other college campuses in the Metropolitan area, focusing on the Sephardic student community. “The Omer” was the topic for this particular lesson. It refers to a very special commandment observed by the Jewish people during the time between Passover and the receiving of the Ten Commandments, as outlined in the Torah. As long as the temple stood, the Jewish people were commanded to sacrifice an “Omer” of barley as an offering on the sixteenth day of the Jewish month, Nissan. An “Omer” is a biblical volumetric unit roughly equal to about 2.2 liters. Sacrificing this essential grain of the harvest reminds us to honor and thank G-d for providing. The lesson further explored the count between Passover and receiving the Torah. Specifically, Rabbi Malka highlighted that the Jewish people will count up, not down, during this time period all the way until forty-nine. The reason for this mysterious practice is to symbolize and remind us of our humble place. Moreover, the fiftieth day, the day we received the Torah, is not included in the count. What is the purpose of this? It is a reflection on Judaism’s fifty levels of purity. A person can fluctuate throughout their life on what level they are on, but no one can reach the highest level of purity and the level of G-d. Stopping out count at forty-nine reminds us the unattainable nature of G-d’s goodness. Lessons such as this were just the beginning of what was explored Monday evening. Any one is welcome to come and join the session in the following weeks. Surely, many more precious teachings will be soon to come in the upcoming weeks as spring semester draws to a close. 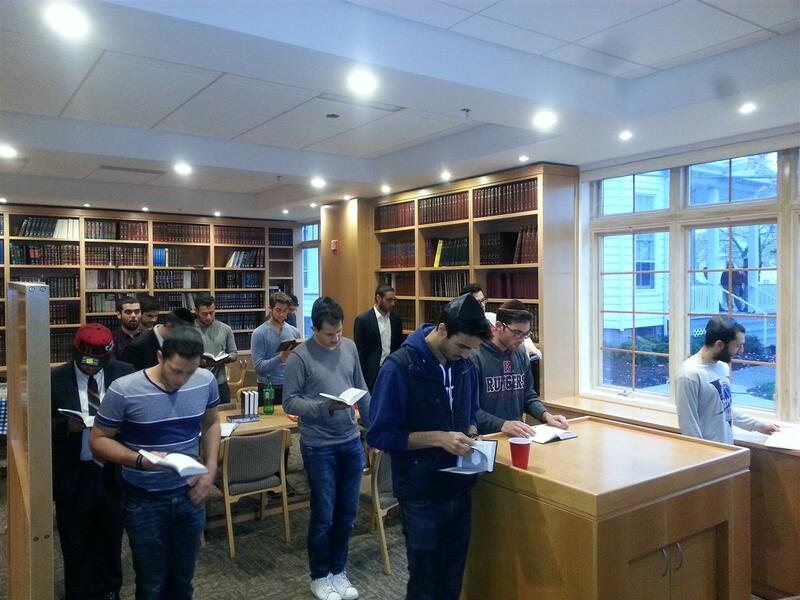 For more information, please contact Chabad House at Rutgers, (732) 296-1800.